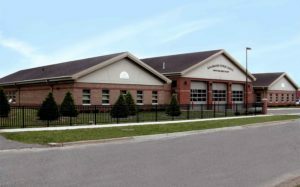 Kalamazoo Fire Station – Sidock Group Inc.
New Fire Station serving true Public Safety Department with building features to serve both fire and police activities. Sleeping quarters, kitchen, locker room, day room, on passive side of building with offices, two training rooms, armory, reception area for public access on the administrative side of the building. Separating the two sides is a three bay drive-thru apparatus room. 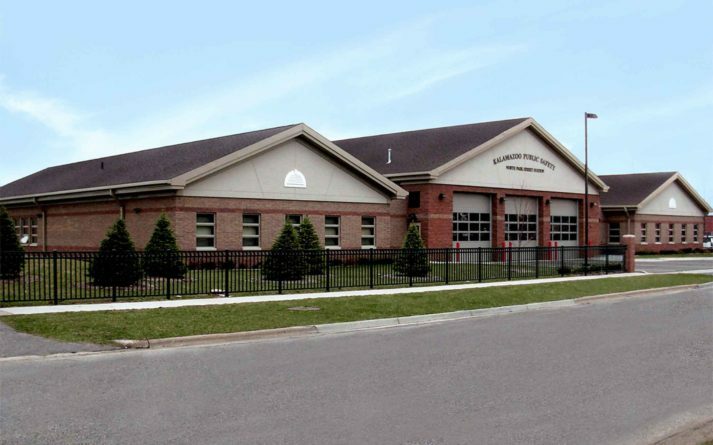 The project included upgrade of a six bay metal building on site, for tactical vehicle parking.